Yes, I'm ready to experience miraculous breakthroughs in 21 areas of my life! Yes, I'm ready to stop making excuses, listen, and apply these lessons. I want to be UNSTOPPABLE in 21 areas of my life! 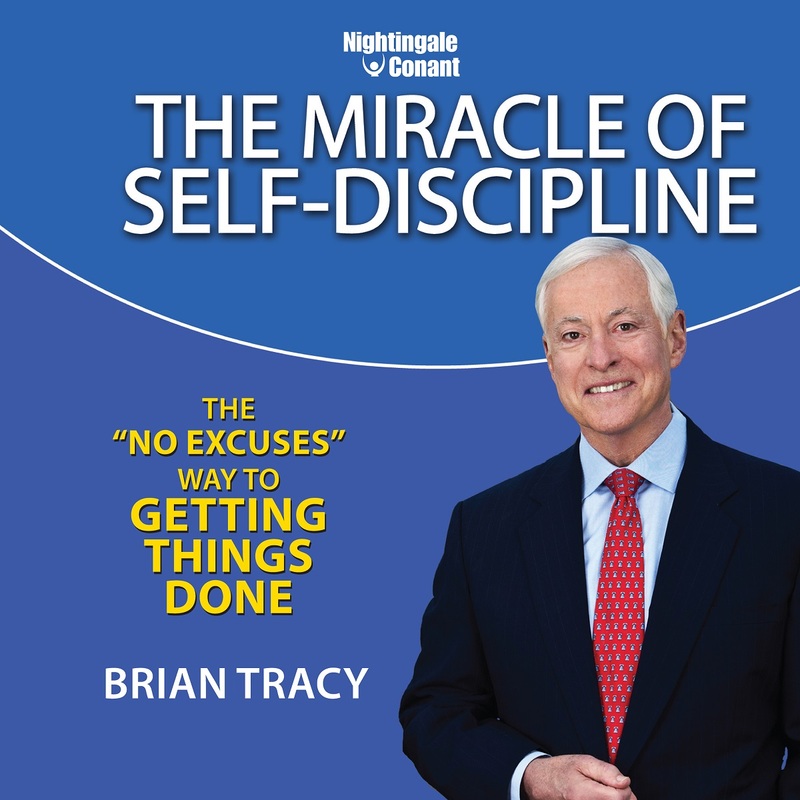 Please send me Brian Tracy's audio program The Miracle of Self-Discipline, at the special price below. - I can select one of two ways of ordering. Brian Tracy is one of America's leading authorities on the development of human potential and personal effectiveness. He's a dynamic and entertaining speaker with a wonderful ability to inform and inspire seminar audiences toward peak performance and high levels of achievement.He addresses more than 400,000 men and women each year on the subjects of personal and professional development, including the executives and staff of IBM, Arthur Andersen, McDonnell Douglas, and The Million Dollar Round Table. His exciting talks and seminars on leadership, sales management, and personal effectiveness bring about immediate changes and long-term results. Brian has a B. Comm., and a M.A., and is the Chairman of Brian Tracy International, a human resource company based in San Diego, California, with affiliates throughout America and in 31 other countries worldwide.Prior to founding Brian Tracy International, Brian was the Chief Operating Officer of a development company with $265 million in assets and $75 million in annual sales. He has had successful careers in sales and marketing, investments, real estate development and syndication, importation, distribution, and management consulting. He has conducted high-level consulting assignments with several billion-dollar-plus corporations in strategic planning and organizational development. Brian has traveled and worked in over 80 countries on six continents, and, he speaks four languages. He is an avid reader in management, psychology, economics, metaphysics, and history, and he brings a unique perspective and style to his talks. He has the remarkable ability to capture and hold audience attention with a fast-moving combination of stories, examples, humor and concrete, practical ideas that get results-fast.He is the author/narrator of countless bestselling audiocassette programs, including: The Psychology of Achievement, Breaking the Success Barrier, The Psychology of Selling, Peak Performance Woman, Million Dollar Habits, The Science of Self-Confidence, Thinking Big, and How to Master Your Time. Brian is the author of Maximum Achievement and Advanced Selling Strategies, published by Simon & Schuster and The 100 Absolutely Unbreakable Laws of Business Success published by Berrett Koehler.Brian Tracy has produced more than 300 different audio and video learning programs covering the entire spectrum of human and corporate performance. These programs, researched and developed for more than 25 years, are some of the most effective learning tools in the world.Brian has authored and record following programs for Nightingale-Conant: The Ultimate Goals Program, The Psychology of Achievement, Personal Time Management, The Science of Self-Confidence, The Psychology of Success, The Psychology of Selling, Getting Rich in America, 24 Techniques to Close the Sale, The Ten Keys to Personal Power, How to Master Your Time. Action Strategies for Personal Achievement, Breaking the Success Barrier, Advanced Selling Techniques, Million Dollar Habits, and The Luck Factor. “I was bankrupt several years ago. I started listening... [and] have made OVER a MILLION dollars!” – Darin K.
“I went from being a Sales Manager to becoming a Director of Sales & Marketing in four years, and raising my income by more than 50%!” – Ravi B. “I had a new baby and 3 other kids. I was overweight, my husband had left me, I had no job and I was going through postpartum depression. After listening... I lost weight, bought my first new car, started college, and went to work at UPS. Since then, land and home are paid for.” – Nancy F.
“I went from doubling to tripling an already six-figure income to almost seven figures (this year)!” – Martin W.